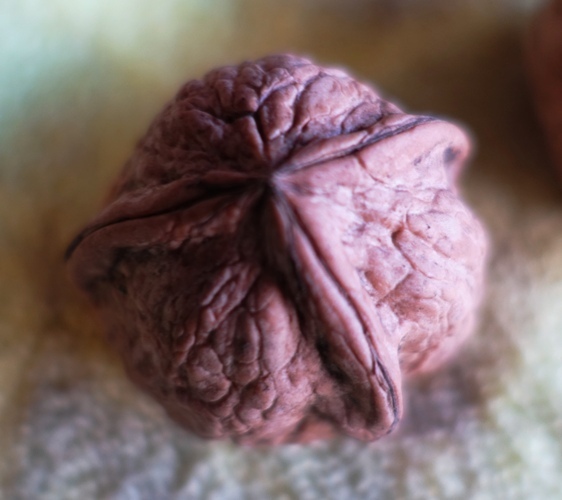 Have you ever seen a walnut with three segments? You usually just see walnut halves that come from a two segment shell. 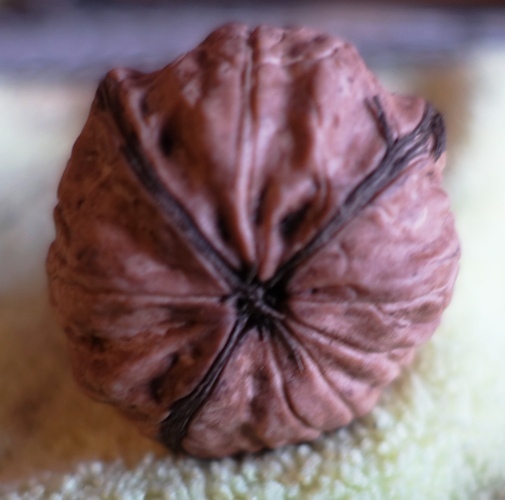 However, three segment walnuts do exist and I have proof. Can you see the three segments of the shell here? The three segments are not equal. You can see that one segment is the regular half shell and the other side is divided. Here is the other end of the walnut. You can better see the division in this picture. Of course, I had to open it up and see what it looked like inside. Here are the three pieces of the shell. They look pretty normal, but you can see that two of them are not round. You can definitely see here that the nutmeat is a bit different. You have six lobes instead of just the normal four. 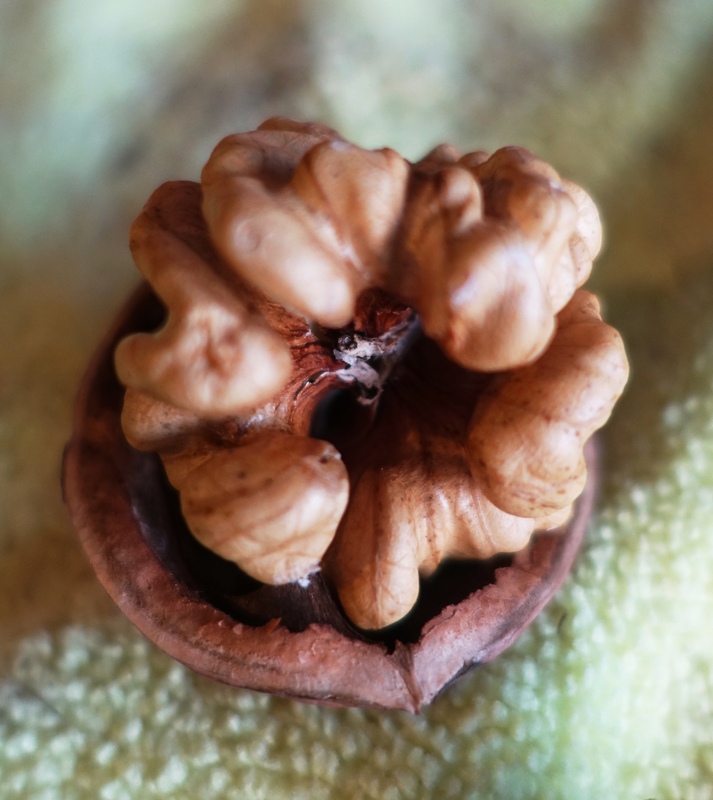 I looked to see how common three segment walnuts are, and could only find information that they are rare. I did find a three segment walnut on eBay that was selling for about $15. You would expect then that I only found one. However, I found two that were three segment in the bag of nuts that I picked up. I also found another walnut that was unevenly divided at about 70/30. 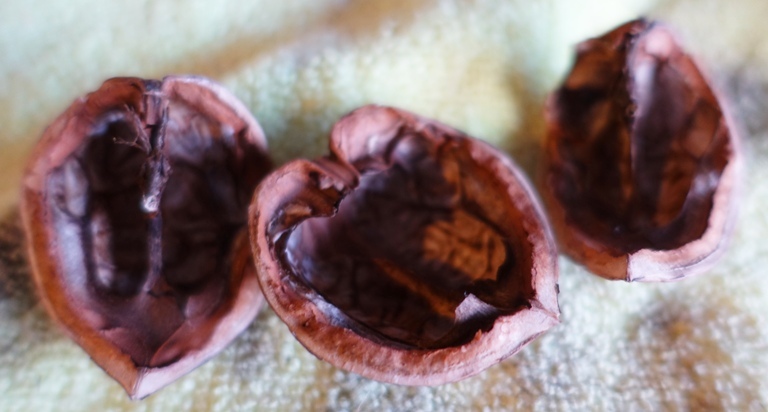 Have you ever found a three segment walnut? 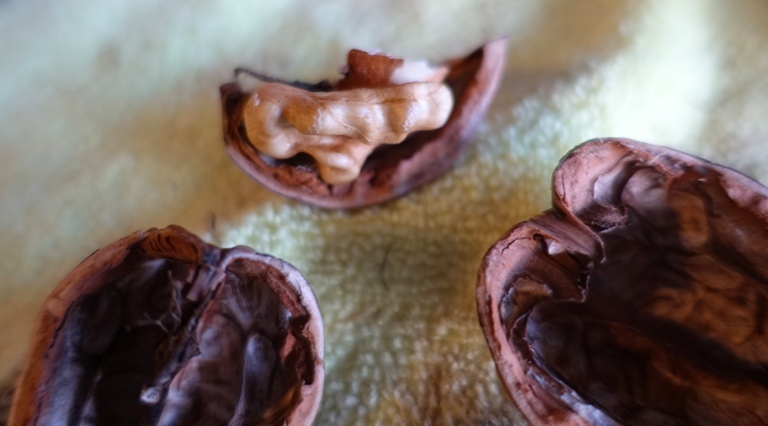 This entry was posted in California, Food, Nature, Uncategorized and tagged nutmeat, nuts, oddities, three segment walnut, Trees, walnut shells, walnut trees, walnuts. Bookmark the permalink. We just found one and turned to the Internet to find out if it is a rarity. Sort of a curious finding. I just found a 3 segment shell and each segment is a third of the walnut. We have several English Walnut trees and have some 3 segment shells, the current one being in equal segments. Interesting observation — needs more study.